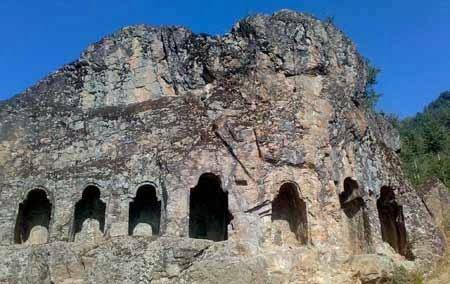 Kalaroos Caves are located in the Kupwara district about 90kms from Srinagar, the capital state of Kashmir. The most fascinating thing about these caves is that the locals believe that they are secret ways to Russia. A few locals believe that there are massive water bodies inside while some believe that there are temples of the Padavas inside. We don’t know what the truth is as it is mostly untouched by the archeology department but the aura of mystery that’s attached to these caves is quite charming. These caves are rumored to be unending. They are as narrow as 4 feet at some points and as wide as two lane road at some points. The first two kilometers can be covered by foot; these caves are attracting a lot of picnickers in recent times. Kalaroos village is a pretty sight with the sweetest locals, do stop by and interact with them if you get some time because travelling is all about exploring the unexplored and understanding the differences while appreciating our diversity.